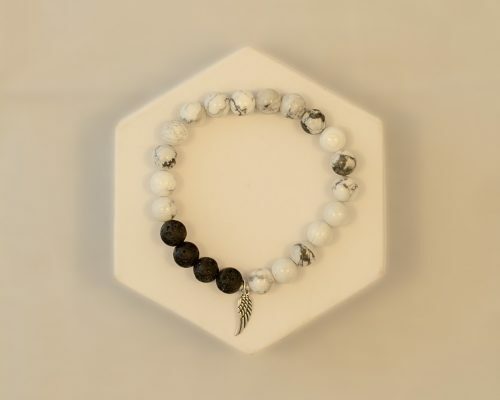 This essential oil bracelet is made from lava stones from Bali and Zebra Jasper. 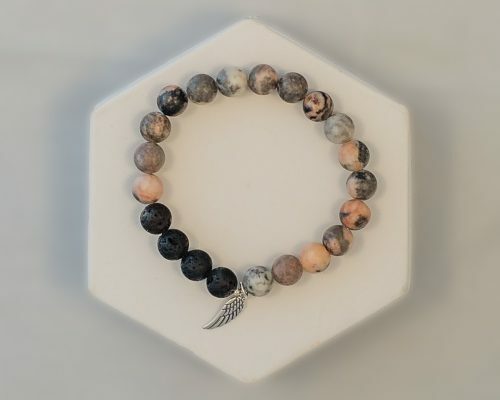 (Pink Zebra Jasper holds the energy of gratitude and optimism. It’s a welcoming stone that encourages one to find their joy and spread their love. 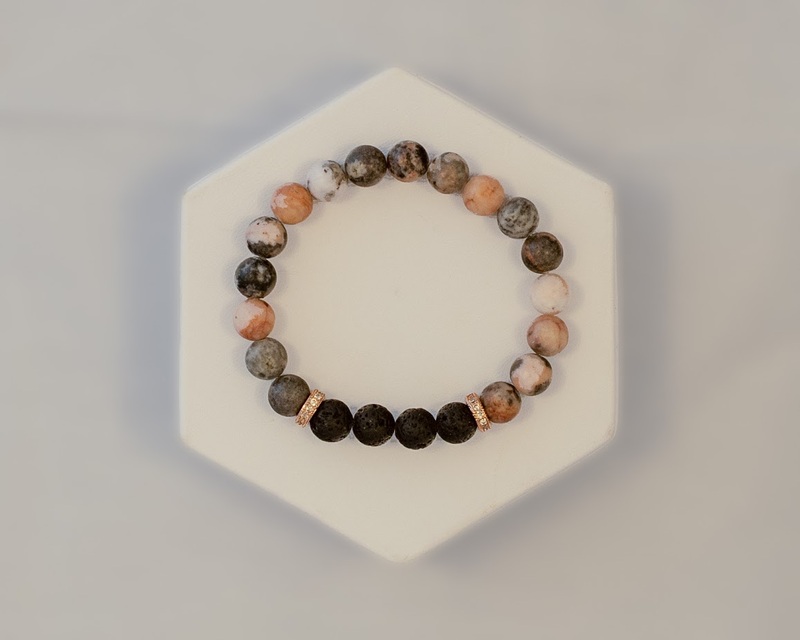 This stone is also said to promote balance which is ideal when sharing a message of peace and happiness). 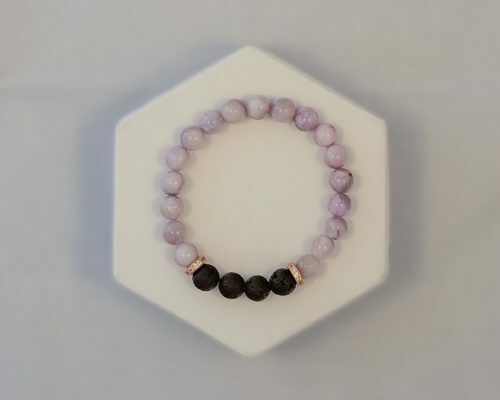 This bracelet is accented by Swarovski crystals in a rose gold setting. 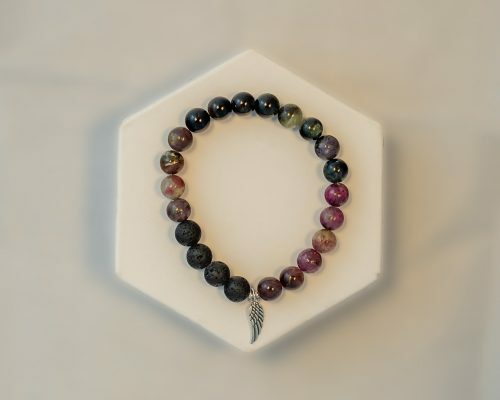 This bracelet comes with a signature “Wings of Hope” essential oil (made with Lime, Lavender and Spearmint) free of charge. Dab a few drops of this, or your favourite essential oil, and enjoy your chosen scent throughout the day.